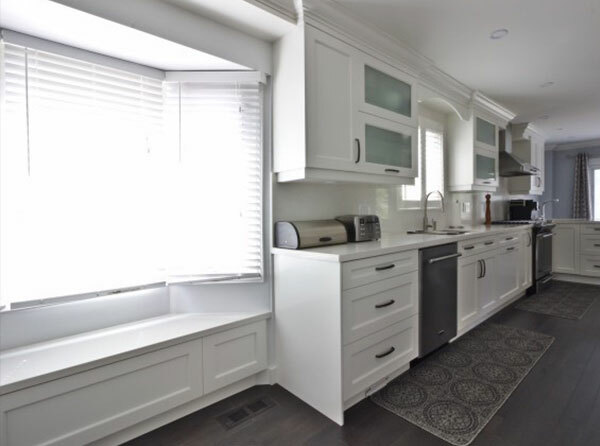 This galley style kitchen comprise of painted maple cabinets with Walton style doors. 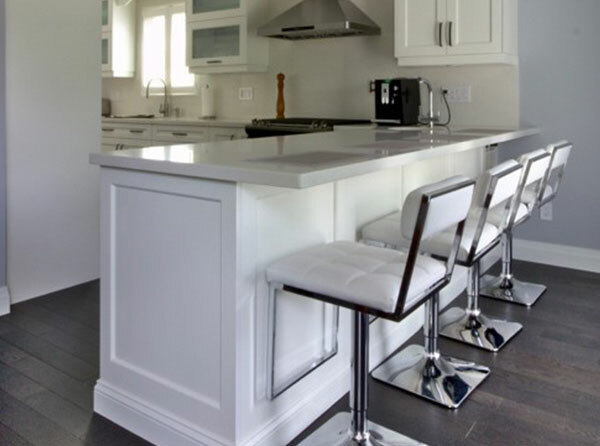 A custom window bench with hidden drawers for additional storage is tucked away at the end of the kitchen sink. Calacatta Nuvo by Caesarstone is used throughout the kitchen, flowing from the countertop to the backsplash and onto the seating/eating area. 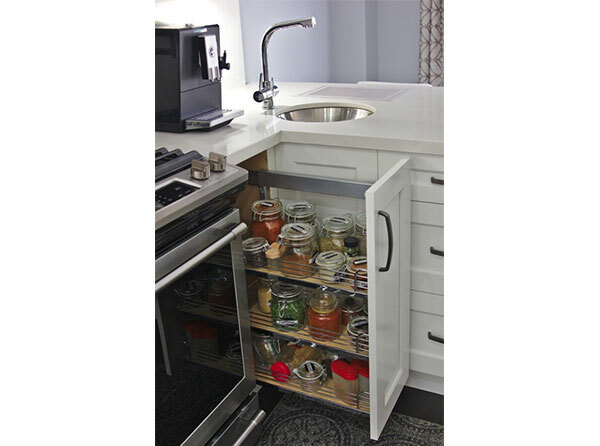 Special features include soft close hinges, spice organizer, double sliding cutlery tray, recycling/garbage organizer, finished panels, crown molding, custom glass shelving and vertical lift cabinet doors. Contact Us today for a complimentary design consultation and let us make your dream kitchen a reality. Transitional custom kitchen with solid maple cabinets stained in tobacco and Bianco Antico granite countertop. 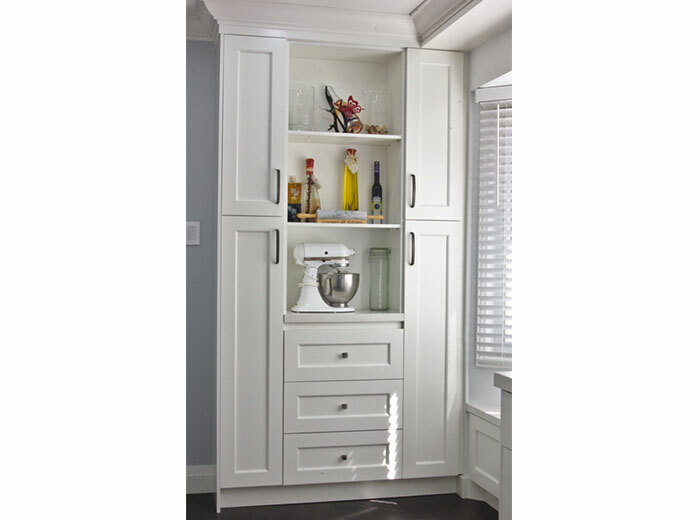 Kitchen cabinet features include soft close doors and drawers, some glass doors, solid dovetail drawer boxes, spice racks, decorative crown molding, custom hood. Free standing kitchen island in dark chocolate stained solid wood with and ivory granite counter top. How Much Do Custom Kitchen Cabinets Cost? 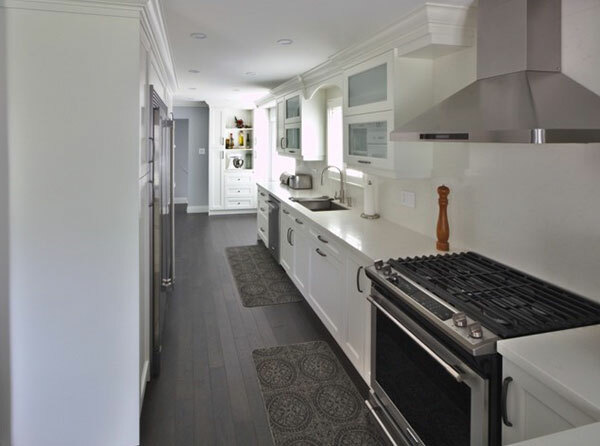 Renovating your kitchen is typically a great way to increase the property value of your home. 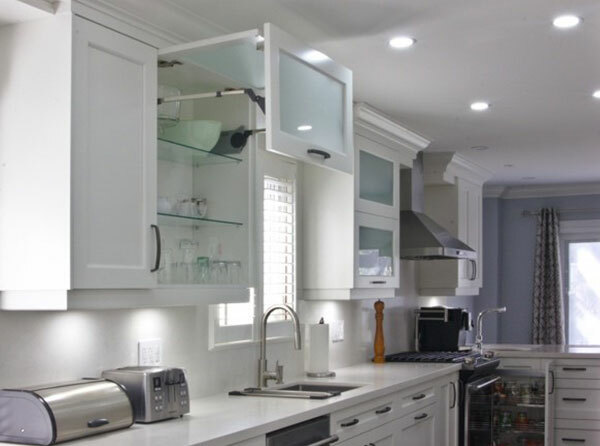 By updating your kitchen with new kitchen cabinets and modern features such as under cabinet lighting and glass cabinet doors, you can significantly increase the value of your home. 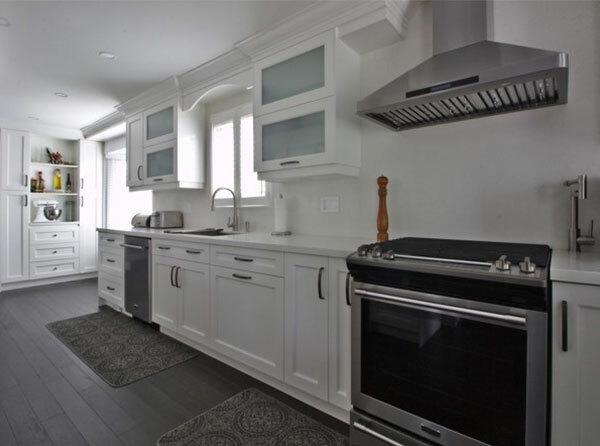 With kitchen cabinetry taking up a significant portion of many kitchen renovation budgets, it is worth spending the time to look at the best option for your home. As mentioned in another article, you have the option of choosing stock cabinets, semi-custom and custom kitchen cabinetry. What's the Difference Between Solid Wood vs MDF Custom Cabinets? 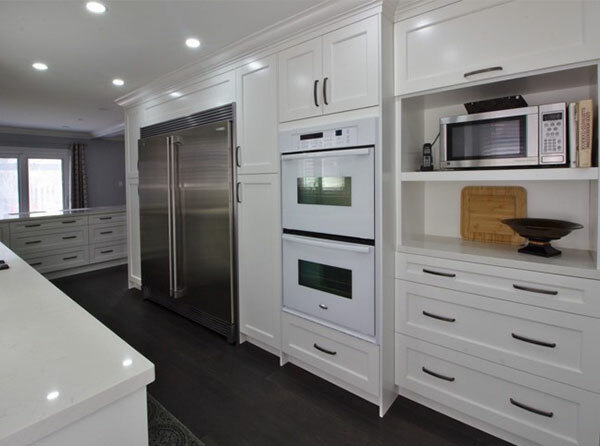 One of the most common questions asked by homeowners who have decided on getting custom cabinets for their kitchen is whether to go with solid wood doors or thermo-laminated MDF (medium density fibreboard) doors. 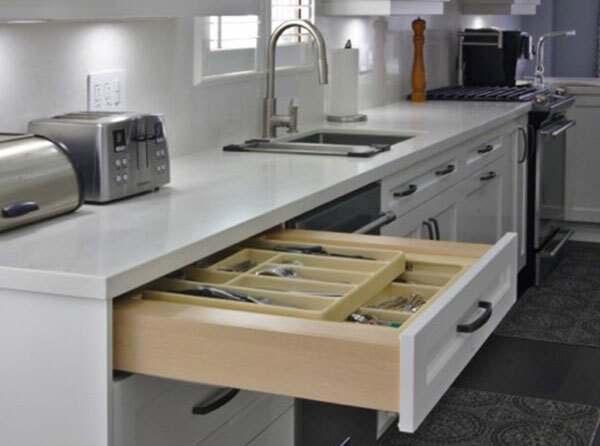 While there is a common perception that solid wood is the better option, fiberboard products have come a long way and MDF cabinets may give you great value for your money.